I am the proud (ish) mother of two teen boys, and Auntie Cathy to a teen niece in University, and two teen nephews. I have an up and coming tween niece who also calls me Auntie. I work hard to keep my Awesome Auntie (and Mom) status with this discerning crowd. I would never want to exclude my two lovely 4 year old nephews, but this is not about them, because quite frankly they are easy to buy for at Birthday and Christmas time. For the younger kids opening the gift is almost as much fun as the actual gift, but not so for the teens. Teens have "opinions". In order to keep my standing as "Awesome Auntie" it's important to keep up on what teens want and need; understanding there is a difference. Not to worry you won't find me twerking any time soon, but I do like to stay on top of the tech that is oh so popular with the teens in my life. My kids don't know the home phone numbers of most of their friends. They communicate in a completely different way than I did. The same holds true for school work, research, how they access news, and view media. Both my son and my nephew have birthdays in July and as I perused my favourite tech websites searching for clues and ideas for their birthday gifts, I decided to share some with you. I figured there must be other awesome aunties who might like to like to know what I came across on my teen tech birthday gift idea journey. Just a note, clearly some of these are out of the Auntie gift budget even if I am awesome, but I often go together with my siblings to purchase larger more expensive items on the kid's wish lists. Or I get the accessories and let the parents buy the big ticket main event. XBox One ($399-$499 depending on package) plus there are accessories, games and Xbox Live Gift Cards that fit most budgets. Play Station 4 ($449 - $469 depending on package) plus there are accessories, games and the Play Station Plus Gift Cards that fit most budgets. 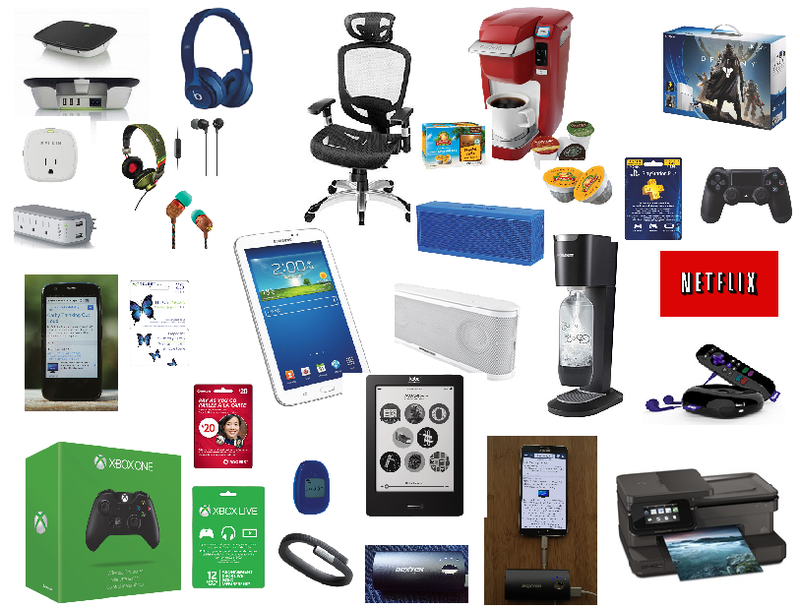 Cell Phones (Information to compare phones and plans via CompareCellular.com) and accessories such as cases offer gift options that fit everyone's budget. If you are looking for a great budget friendly cell phone for your teen check out my post about the Motorola MotoG. Don't forget that cell service provider and top up gift cards make great gifts and come in a variety of denominations. Long Distance Gift Cards come in a variety of denominations and from a variety of providers. Charging or docking stations for all their electronic devices are great gift ideas. There are tons of options out there such as the Belkin Conserve Valet Charging Station or the Belkin Surge Plus USB Swivel Charger as you can see from my post about the Belkin Surge Plus USB Swivel Charger I highly recommend at least one of these. 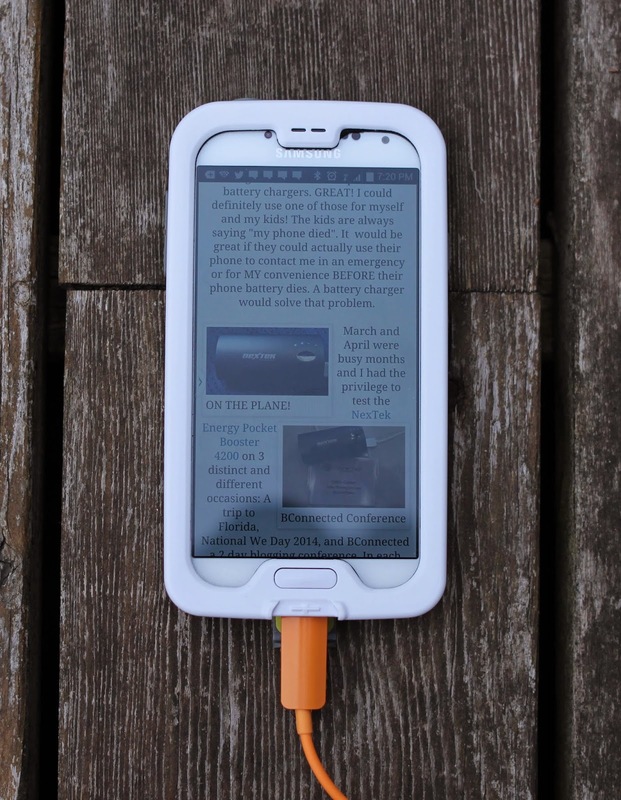 Portable Back-Up Batteries or Chargers to recharge a phone or tablet. I have a Pocket Booster by NEXTEK Energy that I like ($40) but there are many on the market. Apple iPad Mini (prices range between $319- $529 depending on the model) Don't forget that cases, keyboards, stands, Apple or iTunes gift cards are always big hits for those teens who are fans of the "fruit". Tablets have become very reasonable these days and a great gift for a teen. Your best bet is decide on a budget and then go in and speak with the staff at your favourite store. If a tablet doesn't fit your budget, accessories like cases, keyboards, stylus, and gift cards for the appropriate app store are available in a wide range of price points. Personally I'm a fan of the Samsung Tab 3. (But I must admit I have my eye on the Microsoft Surface Pro 3 for me NOT the teens). Laptops are almost a necessity for school by the time kids reach their teens. Maybe a laptop is not in your budget (as an Auntie) but there are tons of great accessories and bags that might be. An External Hard Drive to back up and store all their "stuff" is a great option as well! I have a Dell Vostro and Hubby and one of my kids also have Dell laptops. We have owned several HP laptops and been very happy with those as well. Printers print copy and scan these days and are pretty much a must have for school. You can find printers that fit all budgets, but sometimes paying a bit more for the printer will save you in the long run on supplies. Remember paper and ink cartridges make great gifts too! We currently have 2 HP Canada wireless printers that are great and a Dell Canada colour laser printer. Desk or task chair is a great investment. You can find a desk chair in all price ranges but I have found you get what you pay for when it comes to chairs. Consider how long the teen will sitting in the chair each day to help to guide your investment. My son has the Staples Hyken Technical Mesh Task Chair and loves it. Headphones and Earphones come in all sorts of styles and colours and options. I find the kids tend to lose and break the earphones and my favourite based on price and feedback from the kids are the Sony EX Earbud Earphones at $29.99 they offer the best bang for our buck. Headphones can be very expensive and kids seem to want the name brands. I love my House of Marley Headphones which cost $70 but I redeemed some Aeroplan miles for mine. Bluetooth Speakers are another favourite with the teens I know. These are available in a variety of sizes and price points. My son has the Monster Micro Clarity ($100) and he is very happy with it. Fitness Trackers like FitBit, Jawbone Up , Samsung Canada Gear and Nike Fuel are a few of the popular these days. The start at about $60 for the cheapest Fitbit and go up from there. My son likes his Jawbone Up and Hubby is happy with (my!) FitBit One. Ereaders such as the Kobo or Kindle are great to lighten the knapsack load, and for the avid teen reader. They are light weight, have good battery life and there are literally thousands of books available for an ereader. They start around $70 and go up from there. Again a good case and gift cards appropriate to the make of ereader are great gifts as well. Movies & Shows via Netflix Canada is $7.99 a month and perfect to use with a tablet, cell phone or TV. You can use the fancy XBox One and Play Station 4 to stream Netflix, or you can get a Roku starting at $60. I have the Roku 3 and I love that the kids can plug their headphones in to the remote and I don't have to listen to the show they are watching. Soda Stream ($90+) and Keurig ($70+) are both popular with those at University or Collage. Don't forget to top them up with supplies at Christmas. I am a big fan of Single Jo Coffee K-cup compatible and 35% less packaging. You can order it on-line and have it shipped directly to your favourite teen at Collage or University. They will need it for those all-nighters of studying. Well that is my teen tech gift idea share. Yep, just me Cathy thinking out loud about teens, tech, gifts and my Awesome Auntie status. I regularly have conversations on social media and in real life with friends and family about which TV shows, or movies are good to watch. So I thought why not share these recommendations on Cathy Thinking Out Loud once a week, on Wednesday (aka #W2WW). Please share yours in the comments section! 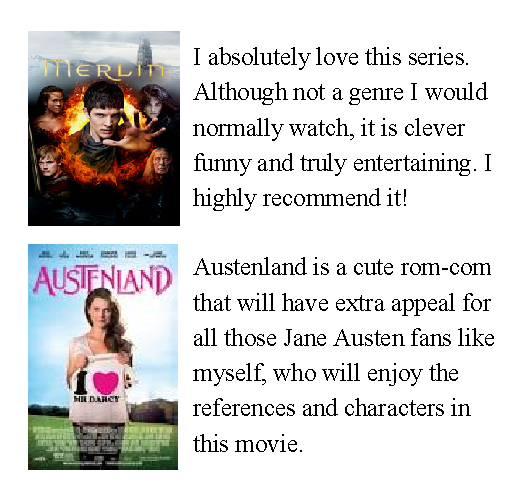 This week's recommendations are a great series and a cute rom com movie. Something for everyone. You can find both of these on Netflix Canada. 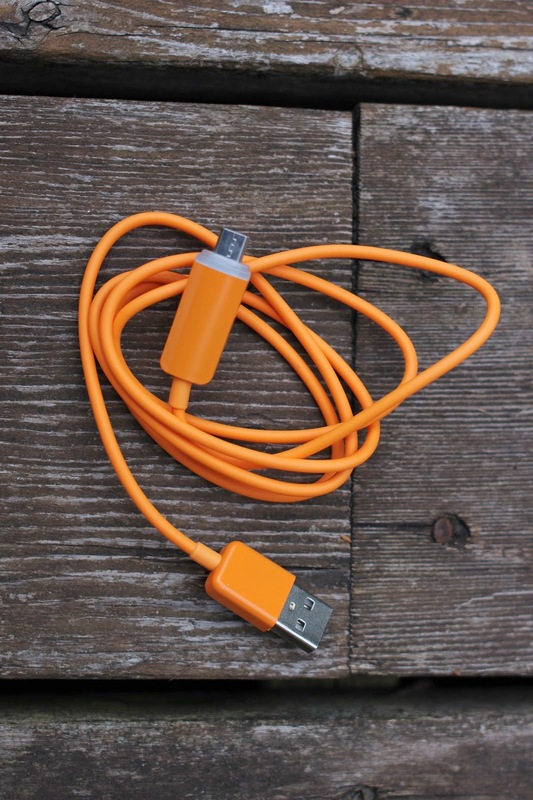 @NEXTEKEnergy Illuminating USB Cable - Perfect #travel companion to ensure you power through #TSA enhanced security measures. 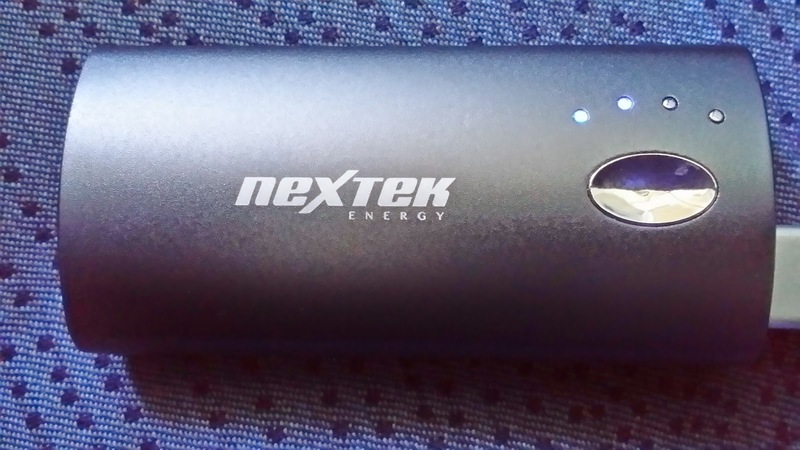 You might remember Cathy Thinking Out Loud's Review of the Pocket Booster 4200 by NEXTEK Energy. 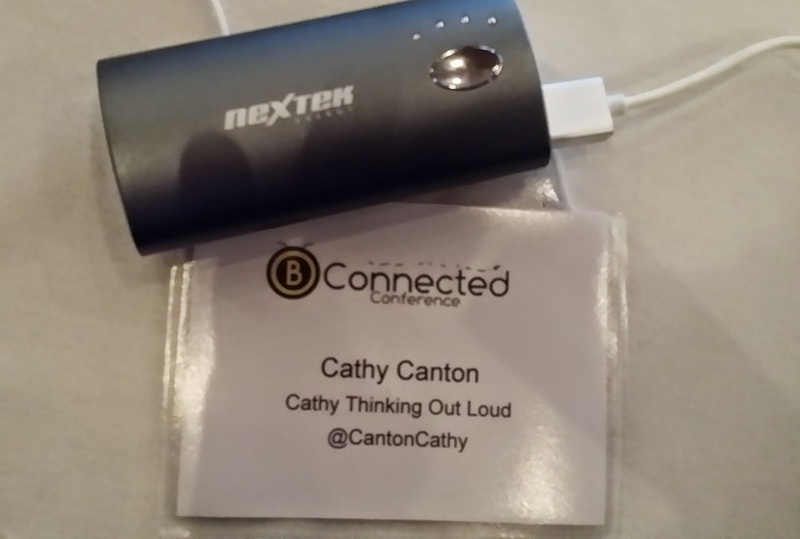 I loved the convenience of having portable power where and when I wanted it, whether it be on my Florida vacation, at We Day or at the BConnected Conference. With the TSA's recent announcements about enhanced security measures, having a way to quickly charge your devices and check the charging status is no longer just a convenience, it is quickly becoming a necessity. These enhanced measures affect direct flights to the U.S. from certain overseas airports. Although Canada is not considered "overseas" and these security measures do not affect flights out of Canada to the United States, they are surely a sign of changes and the direction of airport security in the future. Personally I love the LED feature, and how the PISEN* for Galaxy and the Illuminating cable charge my phone at lightning speed. I also appreciate the "teen-proof" orange colour. No longer will my kids be able to say they thought it was theirs. 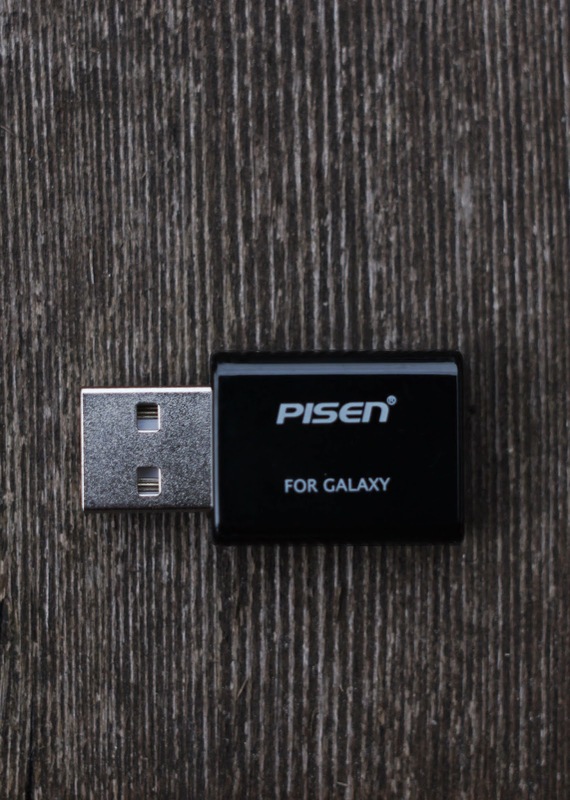 for power on go, wherever you go. Yep, just me Cathy thinking out loud about NEXTEK Energy Illuminating USB Cables and TSA's new enhanced security measures. Note: I receive an Illuminating USB Cable free of charge for the purpose of this review. All opinions are my own, and a true reflection of my experience with this product. I regularly have conversations on social media and in real life with friends and family about which TV shows, or movies are good to watch. So I thought why not share these recommendations on Cathy Thinking Out Loud once a week, on Wednesday (aka #W2WW). Please share yours in the comments section! My apologies for the delay this week, I seem to be on a relaxed summer time schedule. 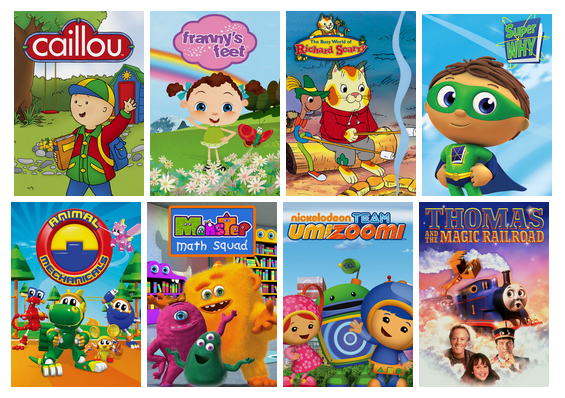 This week's recommendations are 2 series with a common theme and examine body image and the true meaning of beauty. You can find both of these on Netflix Canada. In the past my husband has had a tendency to use his Belkin WeMo Switches for if not actually evil, less than nice activities. I am not saying he is an evil man, he just does evil things, such as remotely turning lights on and off when I am working, or turning a boombox (a relic from our university days) on full blast to remotely wake our teenage kids during spring break. I am not sure which was more of a shock the loud music or this thing old people refer to as a "boombox". As a result I have been working hard to try to train him to use his WeMo switches responsibly and for good. I think I may have made some progress, but only time will tell. The latest addition to our family of WeMo switches is the Belkin WeMo Insight (the Insight makes number 6...the same as the number of kids in the Brady Bunch). The Insight is almost half the size of the standard WeMo plug-in switches, and about the same size as the Belkin Conserve Socket (which is a GREAT doohickey which, when activated, stays on for a fixed amount of time and in our house is hooked up to the espresso machine which my husband always forgets to turn off). What's new in the Insight is the ability to monitor the power used by the attached devices. Previously we used the “Kill A Watt” wall wart to track down and eliminate energy vampires. With the Belkin WeMo Insight we can not only measure the power used by the device but also manage when and why it turns on and off. We use the WeMo Insight to control our dehumidifier using a time of day schedule (running the dehumidifier only during the off peak periods). Using the handy WeMo Android app I see that this is costing me $15.75 a month. I for one look forward to our coming robot masters managing the devices in my home using the WeMo family of switches (and hopefully saving me money by turning on my stuff only when necessary). Or if that fails then at least managing my husband! With great home automation, comes great responsibility! Please use your WeMo Switch Responsibly! 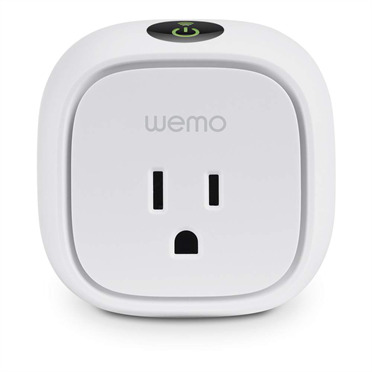 The WeMo Insight is easy to use, retails for $59.99 and works with Android and Apple devices. For more info and specs about Belkin products including the WeMo line visit Belkin.com or follow Belkin on Facebook, and Belkin on Twitter . 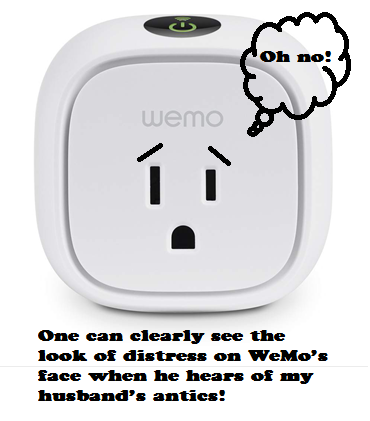 Yep, just me Cathy thinking out loud about Wemo Insight. Note: I was provided with a WeMo Insight free of cost for the purpose if this review. All opinions are my own and reflect my experience with this product. PROTECT THE NOGGIN AT ALL COSTS! • No Helmet - No skateboarding, No helmet - No cycling, No helmet - No snowboarding. • We wear helmets to model behaviour and so kids can never say: but you don't wear a helmet. try to make helmets multi-task. not win a fight with a moving vehicle. Like most sports skateboarding involves some risk, but there are ways in which you can minimize the risks of injury. Basic sport specific certified safety equipment that fits properly is the easiest way to reduce the risk of injury. Helmets: Helmets protect your child's head from cuts, concussions, and brain injury. I can think of no better equipment investment. 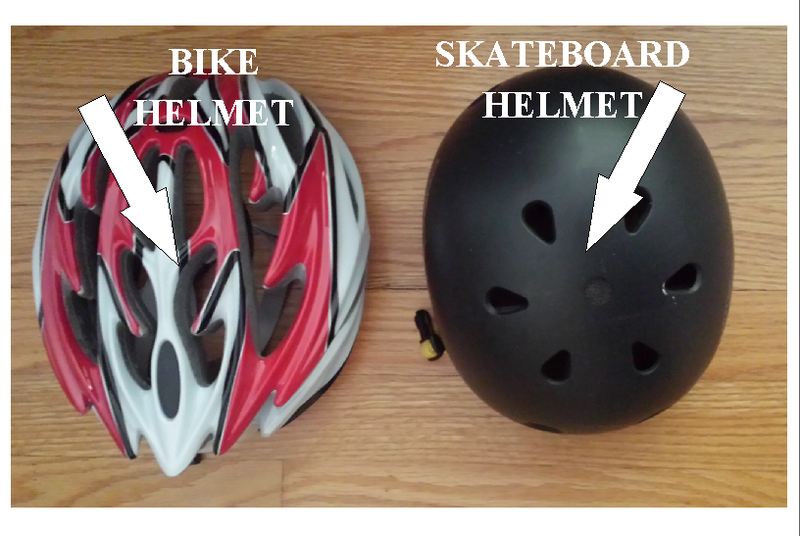 You would not use a hockey helmet to cycle in, and neither should you use a bicycle helmet to skateboard, skate or snowboard in. Each helmet is designed for a specific sport and the speed and type of impact most plausible for that sport. Concrete is different than snow or ice. Remember helmets only work if they are properly fitted and worn in the way intended. Once you have a good helmet, next is pads. Wrist Guards: Wrist guards help to protect from wrist injuries from falling, especially for new skaters. As a skater's skills progress the wrist guards may interfere with the ability to do certain tricks. The kid in the blue t-shirt is mine. Skateboarding is a sport, and a challenging one at that. Please read my Skateboard Manual post for more information about buying a skateboard. What appears to be simple tricks take hours of practice to master. Lessons teach your child how to do tricks safely and at the level they are ready for. They are give in a controlled environment where your child can learn the steps involved in a trick and how to fall or "bail" safety to avoid injury. I often get asked "How can your watch you son doing those dangerous skateboard tricks? Aren't you worried?" My answer is yes and no. Yes I am always concerned about my kids being injured, and let's face it broken bones are no fun. Mostly my answer is no, because I have invested the in the proper safety equipment, he has taken lessons for years, and he has put in thousands of hours of practice to improve his skill which decreases his risk of injury. My son did not start out dropping into 13 foot ramps, or sliding down a rail over 8 stairs. These are not beginner tricks, and the likelihood of him being able to do these injury free without mastering more basic skills is very low. The lessons and instruction have given him the confidence to take calculated risks. It is no different than a gymnast or figure skater. I cannot stress enough the benefits of lessons for your child. Your child will learn faster, in an environment where safety equipment is required. They will learn at their own pace the right way to do tricks. Instructors teach, demonstrate and observe your child's progress. They can spot your child dropping into a ramp, point out what they are doing right or wrong, and tell them if they are ready to move to more challenging tricks. Each success reduces frustration, builds confidence, encourages your child to practice, get better and stick with it. Lessons prepare your child for when he or she does go to a busy unsupervised skatepark by helping them understand the rules and etiquette, which helps to keep all skaters injury free. They might even run into one of the instructors at the skatepark, and it is always nice to see a familiar face. What to expect at one of their skate camps? "Our partnership with the City of Ottawa skateboard camp is over 1o years strong now. Camps are based out of McNabb Skate Park, and we offer 7 different weeks of programming. The camps are week long programs for ages 6-15 years of age, and are offered at both the beginner and the advanced levels. All instructors are local skateboarders that can teach anything from how to push correctly to hitting your first handrail. A few instructors are bi-lingual so instruction can be offered in French as well as English." Eric can you tell us why you think it is important for kids to have proper equipment and lessons when they are starting out skateboarding. "All campers are required to wear a helmet, elbow and knee pads. One of the more important aspects of our camps is to promote the longevity of the sport through safety and the proper use of protective gear. All our trained staff teaches skate park etiquette and how to skate in a busy crowd or skate park. One of the biggest factors in preventing injury is to know your surroundings at all time and how to react to different situations." 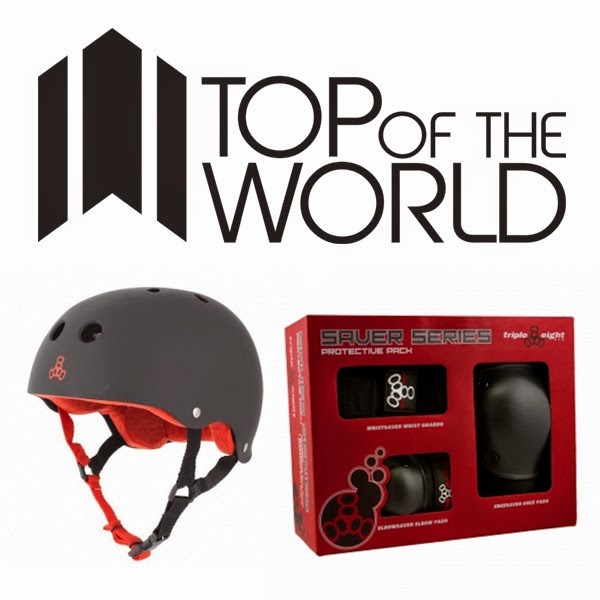 For more information about the McNabb Skate Park City of Ottawa/Top of the World skate camps visit Top of the World - McNabb Skate Camp Information. Note: you can register your child for McNabb Skate Camp in person at the McNabb Community Centre located at 180 Percy, Ottawa 613-564-1070. As well there is a GIRLS ONLY session on Thursday evenings! Okay here comes the part where some parents and adults need some "schoolin" and need to respect the skaters. Thinking out loud about this may not make me any friends but I strongly believe it needs to be said. You set the tone and example for your kids. The number of adults I have seen with a total lack of respect and regard for skater's safety is shocking! A skatepark is not a play ground or climbing structure. It is not a place to let your kids run around then blame the skater when your kid AND the skater gets injured. The definition of sport is: "an activity involving physical exertion and skill that is govern by a set of rules and customs and often engaged in competitively." via The Free Dictionary The rules include a basic code of conduct which apply to us parents as well. You probably wouldn't let your child go to play in the middle of a baseball diamond or a tennis court during a practise or a game, because it is dangerous and quite frankly rude. I can't understand why so many parents think it is okay for toddlers to run around or ride their bike with training wheels through a skateboard park. I know it is not all or even most parents, but if you see this please speak up. Better a nasty glare from an annoyed parent than a serious injury. Skateboarding is a FAST sport, and stopping or turning to avoid a child is challenging. If an un-helmeted toddler collides with a skater and hits the concrete ground they are going to be seriously injured, and most likely the skater trying to avoid them will be hurt as well. I am not suggesting young kids aren't allowed to use the skateparks, my son has been skateboarding since he was 6 years old. I am suggesting lessons, proper equipment, and a clear understanding of code of conduct and skatepark etiquette is required. A skatepark is a place to practice and improve your skills. Anyone making an honest effort to do so has a right to be there. I have NEVER had my child even at 6 years old, told or treated like he was not welcome at a skatepark. In fact many of the more experienced skaters regularly took the time to help him learn and land new tricks. There the rant is over, but I think it is important to say. I know I would have trouble sleeping at night if my own or someone's child was injured because I was smug and somehow thought I was above the rules. So to make for that little rant Top of the World has been nice enough to provide me with a Helmet and set of Pads for a giveaway. FYI: McNabb Skate Park is only open May – Aug. You can help to support these programs and ensure they are available for years to come by donating to the fundraising effort to build a permanent outdoor skate park to accompany the seasonal indoor park at Top of the World 1 Square Foot McNabb Skatepark Fundraising Campaign or at Top of the World at 158 Rideau St. Ottawa. Yep, just me Cathy thinking out loud about skateboarding safety equipment, lessons and park etiquette. 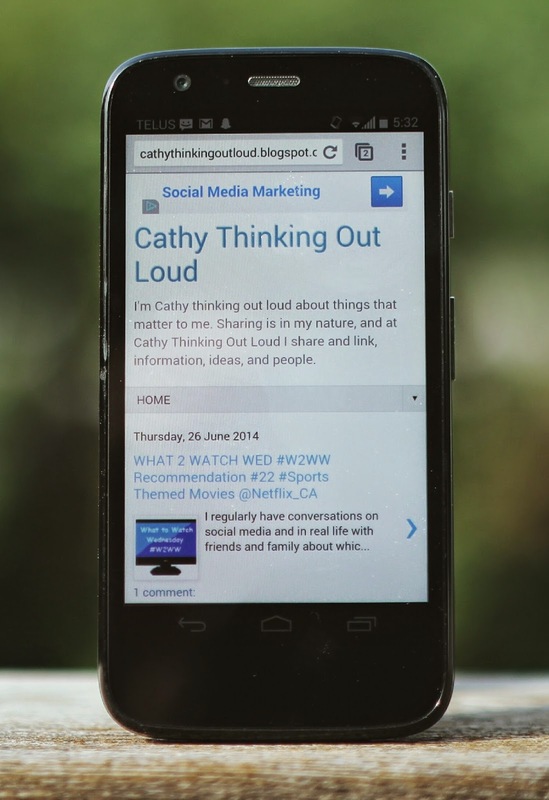 Cathy Thinking Out Loud (CTOL) was born July 5th, 2013, but it was conceived much earlier. Like my children my newborn blog did not come with an instruction manual, and in its infancy demanded huge chunks of my time and attention. As a new mother I relied on my friends, family and the "What To Expect" books to guide, support, and lend a helping hand when things got overwhelming, and the same held true for CTOL. Like with all newborns with the joy also comes the worry. I worried about CTOL gaining and maintaining weight. By weight I mean gaining followers and readers, impact, and reach, and ideally not losing followers and readers. I worried about the quality of the weight, and that gains weren't just from empty calories of boring posts, or all product reviews and giveaways. At first I agonized over every unfollow, but soon learned that some fluctuation both up and down is normal, and started to focus my attention on longer term maintained gain rather than daily fluctuation. I started to manage the things that were within my control, like diet and exercise. I try to feed CTOL a healthy mix of quality content and meaty posts, with sweeteners like giveaways in moderation. Regularly exercising my writing skills and regular postings help to ensure a healthy and happy CTOL. Fluctuation is normal but I have learned it is important to monitor it with regular check-ups (such as Google Analytics). Most of us have heard that saying about the times when the “baby” has sudden spurts of growth. Just like my kids, my blog seems to grow in leaps and bounds of growth (stress) and then the growth plateaus off (worry). These spurts can be due to sharing, giveaways, joining networking groups, or just organically. Just as I finally seem to settle into a routine ... surprise! there is another growth spurt. It is exciting to see the growth but with sudden growth in followers and readers I feel pressure to produce more “feedings”. My production of “milk” aka posts hasn't always increased at the same rate as the demand (real or perceived). Producing quality posts is more important than the quantity of posts, so I try to remember to feed myself, not just my blog, and think about my longer term goals for CTOL. Sleep patterns of the young and the restless – aka sleep deprived and the desperate. Often it feels like this, with posts and deadlines, and other life and family responsibilities. Sleep is good, no denying that, and routines and schedules definitely help to manage my time. Sometimes writing comes easily and other times I literally lose sleep over it. Some fussiness is normal as patterns are established, but learning to self-sooth and have confidence in my writing ability is a must. Of course established patterns can easily be disrupted by “teething”, travel, or any number of bumps along the way, so sometimes you just have to go with the flow. Before I had kids or a blog I used to map out in my head elaborate detailed down to the minute schedules. Making schedules and lists helped me to manage my stress and uncertainty of what my future held. Once I had kids and a blog I found many (okay most) of my schedules were unrealistic, and lacked flexibility to adjust to changing demands. Being more flexible and transitioning well is a work in progress, but a blog is fluid and my routines and schedules need to be as well. If my schedules don't take into account the time demands of both my family and my blog, their main purpose seems to be simply to mock me. Experts agree that routines keep the day and blog predictable and provide consistency that readers come to expect. They count on regular posts and having a schedule for when I post makes this easier. I now call them guidelines and aim for some consistency or pattern in my posting, rather than strict rules. I set up a framework with a limited number of items: writing times, posting days, social media engagement and sharing, administrative items. I add, subtract or modify one item at a time so I can see the impact of each change, and avoid the temptation to throw the "baby" out with the bathwater and scrap the whole framework. My readers guide the schedule of when and what I write about through their feedback and comments. At first I would stay up till 3 am to get a post scheduled for Wednesday posted on time. I do try to keep to that schedule, but every now and then I miss a self-imposed deadline, and surprise the world does not end, in fact few probably even notice. One of the milestones babies reach in the first year is the ability to reach and track moving objects. They learn to see objects further away, and once they see the object there is incentive to reach for it, and track it as it moves. One of the milestones in blogging is reaching and tracking my blog object(ives) or goals. Each day I learn to "see" and understand the “objects” around blogging and gain the confidence to reach for them. Each success builds my confidence and gives me incentive to reach for bigger object(ives) that are further away. I track my goals using reader feedback, engagement and tools. I try to remember to enjoy each new milestone and celebrate it, for each one almost always required that I step outside my comfort zone to achieve it. I have blogged for one year and in that time I have written 175 posts, that is impressive and deserves celebration. Most of us learn to crawl before we walk, but the pace at which we learn and number of styles of getting around is as varied as the blogger. I try to remember not to compare myself to others too much, and that there are many ways other than a straight line to get from A to B. Learning to climb can be tricky. There has to be a balance between recklessness and safety becoming stifling. For me planning is my best safety net, and helps me to make learning to climb the metaphorical staircase of the upwardly mobile blogger less hazardous. I am not fearless, but neither do I want to let fear hold me back, so I take "baby" steps. Knowing I have the support of my friends and network to catch me when I fall, and keep me balanced gives me to courage to climb. 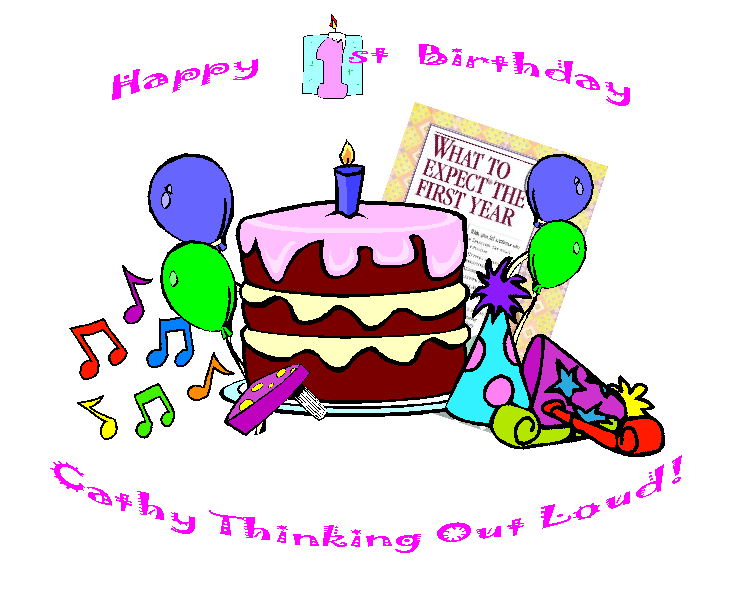 There is a lot to celebrate as I look back over Cathy Thinking Out Loud’s first year. After twelve months I can hold my head up, stand tall, hold onto what is important, make myself be heard and understood, step up, and get back up when I fall. I can’t wait to see what the toddler years will bring! Yep, just me Cathy thinking out loud about CTOL's first year! Learning All Summer Long ... Yes It Can Be Fun! Summer vacation is around the corner, and the school year is coming to an end, but that doesn't mean the learning has too. Studies show the extended time out of the classroom during summer vacation results in learning loss. By the end of summer chunks of knowledge acquired during the school year are forgotten, resulting in teachers having to spend a great deal of time reteaching material to counteract the summer learning slide. I've always felt summer vacation didn't mean my kids' brains went on vacation. It was pretty easy to find ways to incorporate summer learning in daily activities and play when my kids were younger. But when my kids hit their tweens and teens, it became much more challenging and required a "thinking outside the books" approach. I found I needed to focus on things my kids were interested in and passionate about. 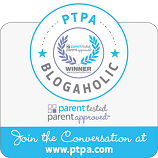 In a post I wrote for PTPA I put together a few suggestions to try, or spark ideas to keep your kids summer filled with learning. 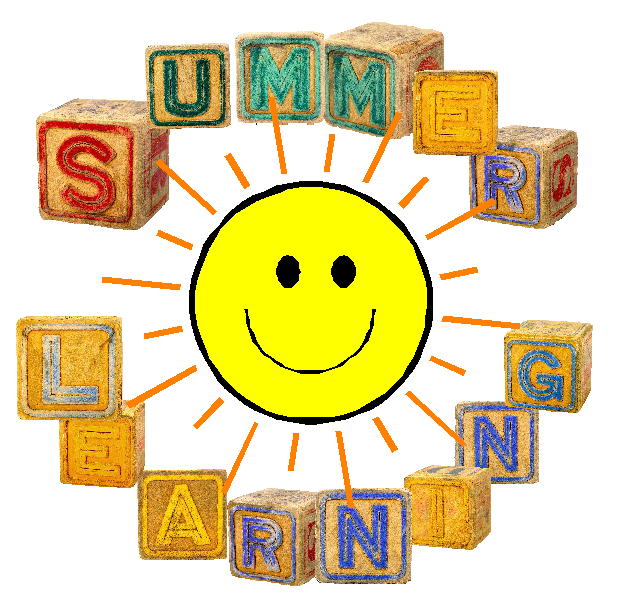 "I know it's summer but that doesn't mean learning has to stop. Studies show kids lose a chunk of what they have learned over the summer break, but it doesn't have to be this way. It means you need to get creative and find ways to make your tweens and teens want to learn. No small feat I know, but I have a few ideas that might work for you. As a Mom, I often find myself lost in the jargon of the young. I call a kick flip a flip kick or a fishing reel a spinny thing. Same goes for a whole slew of other topics my kids are interested in." Something else to think about: often it's the summer activities and learning that tells potential employers and school admissions those interesting parts about a person that grades alone can't tell. Summer learning with a forecast of a bright future! Yep, just me Cathy thinking out loud about summer learning. HAPPY #CANADADAY EH! 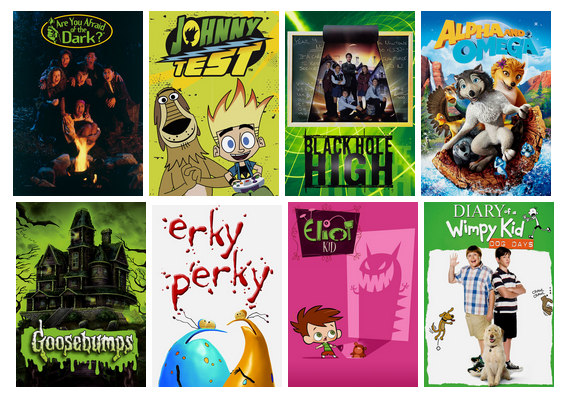 July's @Netflix_ca #Streamteam is all aboot Canadiana! Give'r a look see. You might be surprised! Most of us Canucks are out and aboot enjoying Canada Day today! We have so much to celebrate! Including the many shows filmed in Canada, or which have Canada as the setting! I think you might be surprised how many movies and shows are filmed in Canada, set in Canada, and have Canadian actors producers and directors! So grab some snacks, perhaps Ketchup chips, Buttertarts, Poutine or Beavertails, then add a Bloody Caesar, pop, or Timmies double-double. Or maybe these sweet maple cookies are the perfect snack to accompany your family viewing! 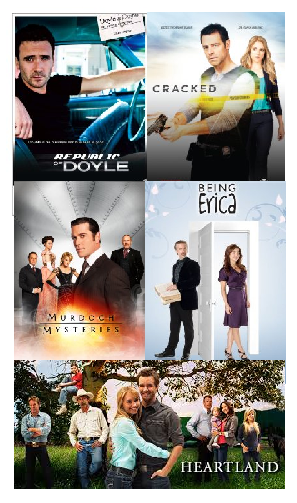 In each of the shows below below you will find touch of Canada Eh. Lets give'r a look! For the big kids. These are my personal picks that I watch with my teens. I'm always on the look out for a bit of the Great White North in the movies and shows I watch! See if you can spot landmarks, buses, licence plates, or businesses that are uniquely Canadian. Yep, just me Cathy thinking out loud about Netflix Streamteam. 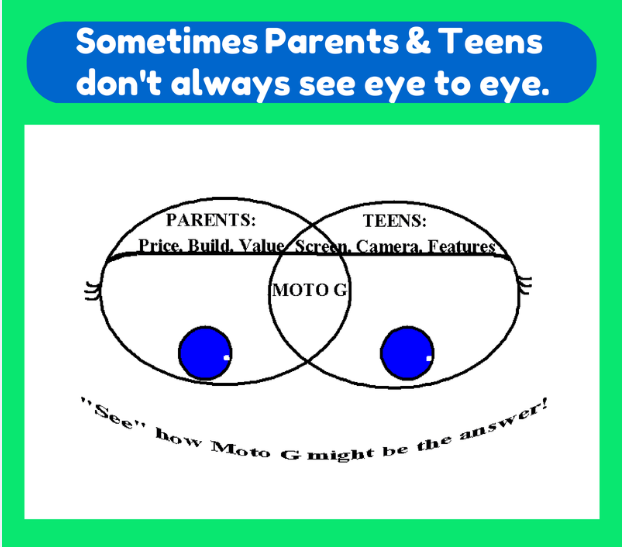 Sometimes Parents & Teens Don't See Eye to Eye: @Motorola_CA #MotoG might be the answer! Teens want to be connected to their friends. social media, their music, be able to surf the net, take and share pictures, and to do all of this on one portable device that looks good. Parents want to manage the ever-rising cost of raising teens. Sure we want to give them all of the above but we also have little things like mortgages, education funds, and retirement savings to think about. Personally I can't afford to buy my teens $600 phones, or pay the $100 a month service to get the phones "free". Even with combined or shared plans with a family of four the cost is well over $100 a month just for cell phone service alone! So for me there needs to be some middle ground. I think the Moto G might be just the answer. The Moto G's excellent build quality means it is sturdy enough to stand up to my teens. The look and design is easy on the eyes, (and budget). The inter-changeable coloured back panels appeals to the teens need to express themselves. 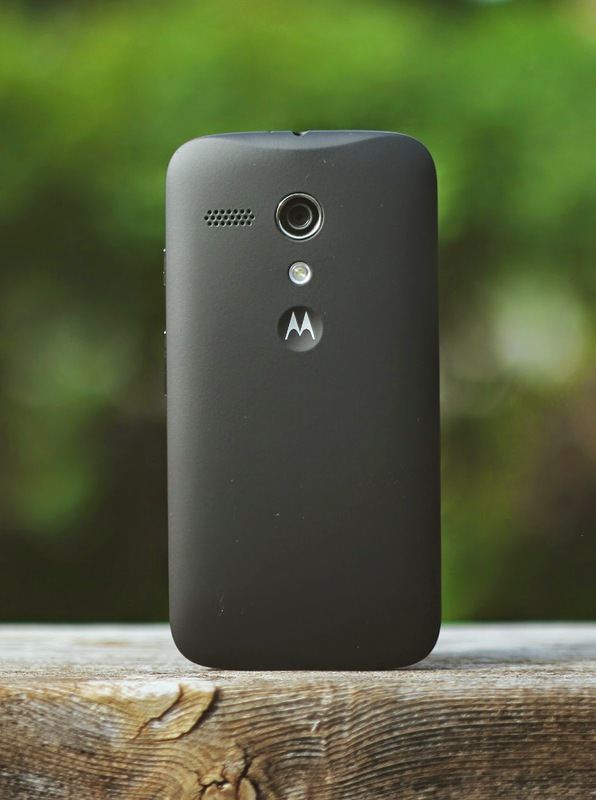 A curved design to the back panel makes the Moto G feel great to hold and fits the nature curve of your hand. The price point at $200 definitely appeals to the parents. A 4.5" Gorilla Glass screen easily accommodates all the You Tube watching a teens can handle. The Lithium-ion 2070 mAh battery provides excellent battery life that lasts longer than my significantly more expensive smartphone. Meaning even at the end of the day there is enough battery to get and reply to Mom's texts. Yep, just me Cathy thinking out loud about the Moto G.
Note: I was provided with a Moto G free of cost to test and give honest feedback. I was under no obligation to post a review of this product. I did so because I was impressed with the quality of the phone at this price point. I believe many of my readers are looking for a budget friendly solution for their kids.